Rather than focusing on the reasons why you might need life insurance, this article will focus on what life insurance can provide. Even when you are gone, your house, family and friends, your pet and your car will all still be here. Life insurance is a great way of ensuring that your financial responsibilities are looked after even when you are no longer here, making sure that the financial security you currently provide your loved ones with does not die with you. It also ensures that relatives do not inherit debt that they were not even aware of and may not be able to afford. When navigating the life insurance landscape, you are sure to encounter different policies and phrases which are, quite frankly, uninteresting and confusing when you are not an insurance expert. At IMC, we don’t like to dwell on the negative and confusing aspects of life insurance. 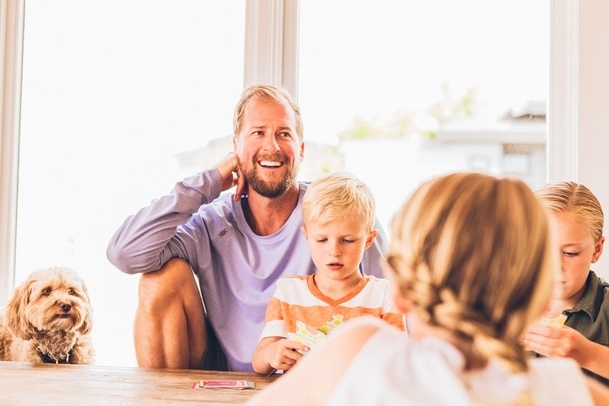 As such, we’ve put together a quick breakdown of the most common types of life insurance options out there and what they have to offer. All life insurance policies fall into one of two main types: Term and Whole Life. These can then be neatly broken down into three subtypes, Decreasing, Level and Increasing term. These policies run for a fixed period of time or ‘term’ such as 5, 10 or 25 years. If you die during their lifetimes they pay out but if you die after the term has expired, your provider will not pay out. The advantage of term policies over whole life is that premiums are usually cheaper and the length of the policy is defined and determined by you. Depending on what you want your payout to be put towards, the length of your term can be longer or shorter. However, there will always be a maximum possible length depending on the insurer. Unlike term policies, there is no end date attached to a whole life policy. These policies run for the rest of your life and will pay out upon your death (as long as premium payments are up to date and the policy is valid). Decreasing term cover is designed to pay off an outstanding debt, so its value changes at the same rate that the debt changes. These are good for situations where a mortgage needs paying or if financial deflation occurred. For example, as your mortgage repayments become smaller, the value of your life cover also decreases. These types of cover pay out a fixed sum upon the death of the policy holder. So they can be used to leave a legacy or to help your loved ones with a range of financial considerations without you having to specify exactly what. Like decreasing, they can be used to pay off debts but as they are not specific to one – they could be worth more or less than the debt amount. As you have probably guessed, the amount that the different types of cover pay out changes over time. Unlike decreasing term cover, payouts increase in line with inflation that has occurred during the life of your policy. The benefit of this is that your beneficiaries receive the same real-terms value at the point of the claim as at the beginning of the policy. In cases where a long period of time passes between when the policy was opened and the claim was made, beneficiaries may not receive financial help equivalent to the amount of money the policyholder invested in the policy. Some providers also offer life insurance cover with critical illness which means that a payout can be claimed in the event that the policy holder becomes critically ill within the period specified by the policy period (e.g. fixed term of whole life), preventing them from being able to cover their debts due to sickness absence from work of medical costs. You can also purchase short-term income protection cover which is designed to pay beneficiaries an agreed monthly amount during a short period (usually 12 months) when the policyholder is unable to work as the result of an unforeseen accident, sickness or redundancy. What is not covered by life insurance options? Check with your insurance provider or financial advisor so that you are aware of anything that will not be covered, that you need to cover so that this can be accounted for by an alternative means. Life insurance may not be a topic of conversation that we often want to talk about, but it is important and almost all people need it. IMC’s wide range of life insurance advice and services are available to suit each and every client’s circumstances. We firmly believe that death shouldn’t mean debt. That’s what inspires IMC to provide suitable, tailored and expert advice on all our services, including life insurance advice and products to clients looking for peace of mind. To find out more about the policies we offer visit our life insurance page. For more specific advice, get in touch with our helpful team of experts today.